Romania will select their participant in Eurovision Choir of the Year, this Sunday as part of the Excelsior Gala Awards in Bucharest. This Sunday Romania will select their first ever participant in Eurovision Choir of the Year, as ten choirs from across the country compete as part of the Excelsior Gala Awards. Alongside the Romanian selection process, the show which is being broadcast live on TVR 2, will highlight the personality, vocals, choreography and culture of choral music across Romania. 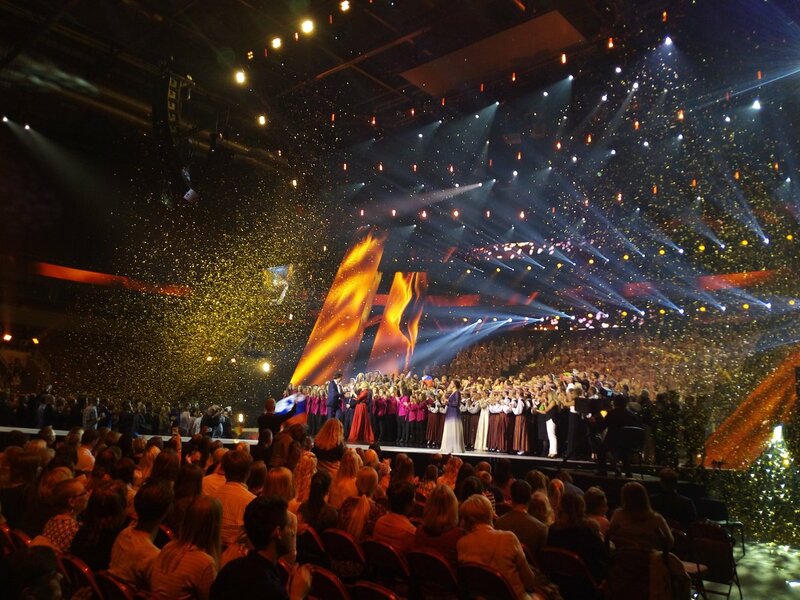 Eurovision Choir of the Year was held for the first time this year in Riga, Latvia. The competition according to early reports is scheduled to take place every two years. However, if interest from viewers and broadcasters was high enough the contest could be turned into an annual event. The European Broadcasting Union has yet to officially confirm when the next edition of Eurovision Choir of the Year will be held. The EBU has been contacted for comment but has yet to respond. There has been a mistake regarding the name of the choir. Instead of MELORITM, as it should have been, you wrote Meltorim. We are kindly asking you to rectify it as soon as possible.